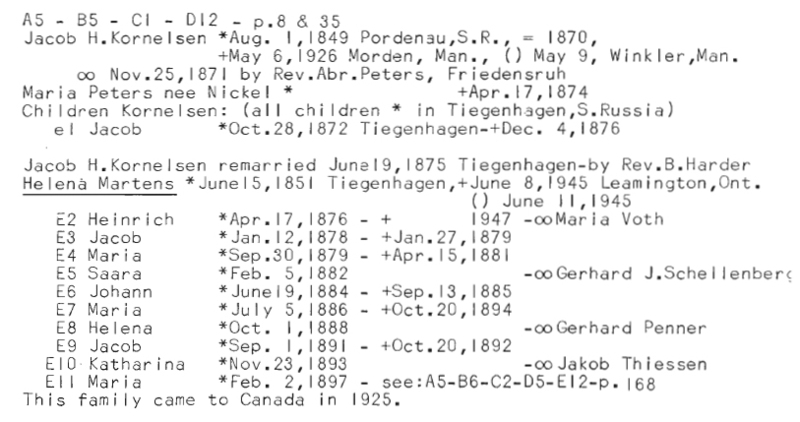 Title: Peters, Katie, Genealogy of Aron Martens 1754-1977 (Winnipeg: Ernest J. Klassen, 1977). Publication: 1976? Compiled for John Thiessen of Winnipeg, Manitoba. Publication: Winnipeg : [Klassen], 1984. Text: Compiled for John Thiessen. 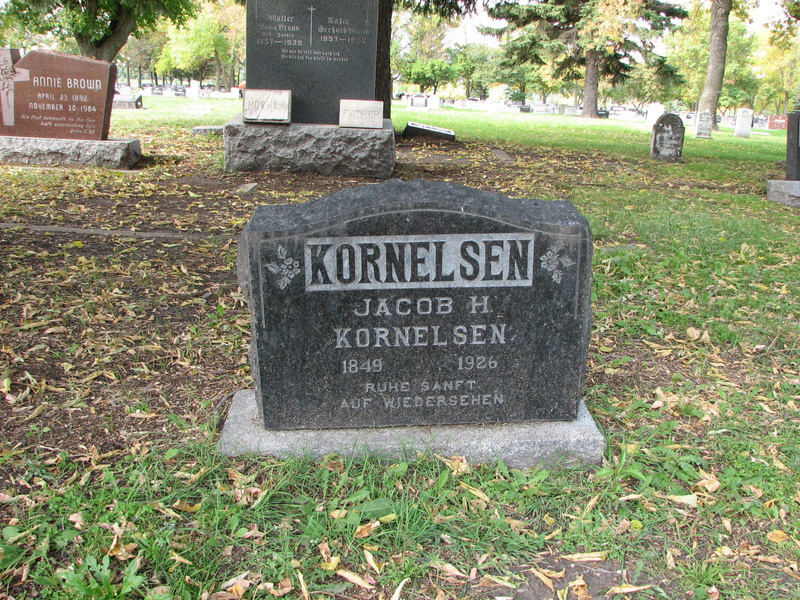 Jacobs parents were Heinrich Kornelsen and Sara Wall. His first wife was Maria Nickel and they were married on 25 Nov 1871. His second wife was Helena Martens and the marriage was 19 Jun 1875. Publication: Faith & Life Press, 1974. Publication: Faith and Life Press, Newton, Kansas, 1974. Title: Zionsbote German language organ of the Conference of the Mennonite Brethren Church in North A merica. 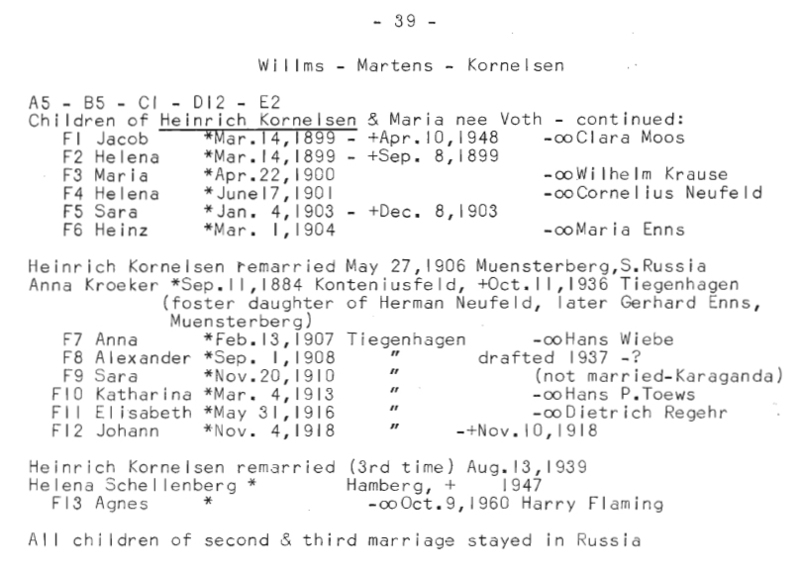 K. Peters (compilier), Genealogy of Cornelius Willms, 1730 - 1972 (Winnipeg, March 1, 1973), p. 40. Elisabeth Kornelsen *May 18,1916 Tiegenhagen, S.Russia. 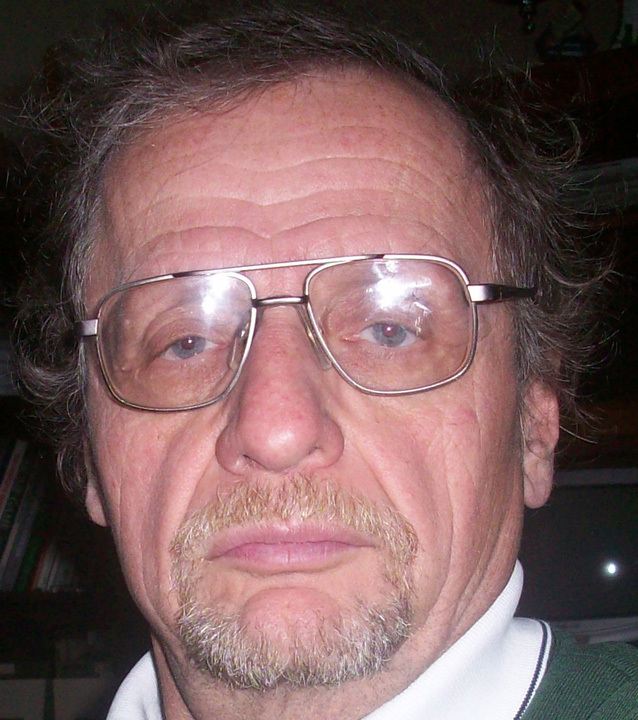 He was taken in 1941, and his wife with 2 children 4 weeks later.